Sources close to Ander Herrera insist the player did not deliberately spit on Manchester City's badge during Saturday's Manchester derby. Video has emerged showing the Manchester United midfielder spitting as he walked over a large City crest at half-time at the Etihad Stadium. The footage was captured as the players left the pitch at half-time, with United 2-0 down but about to embark on a stirring 3-2 comeback. "It was 100 per cent unintentional, he had no idea the badge was there," a source close to the Spaniard said. "As a person who respects football and its traditions he would never do something like that." Herrera allegedly spits on the Man City badge. City are aware of the incident but do not intend to escalate it by making any formal complaint to the Football Association. 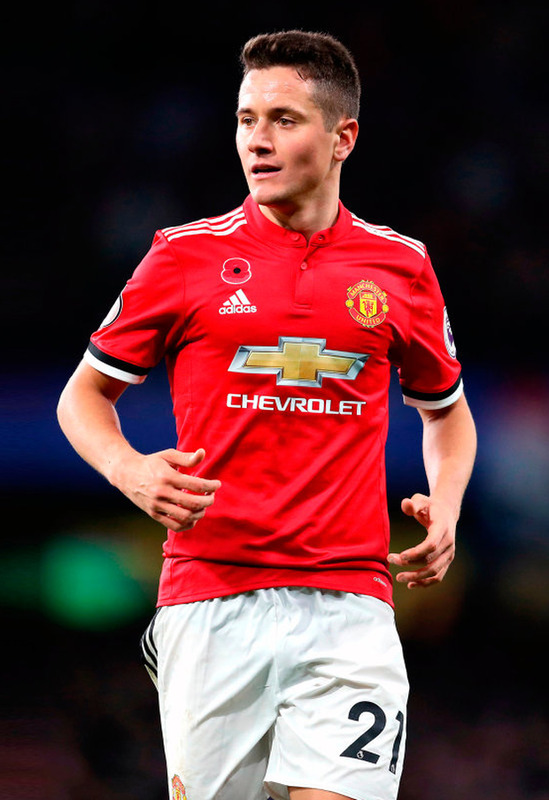 Players are often seen spitting on the field before, during and after matches and as Herrera was walking directly towards the tunnel, with no deviation, it would surely prove difficult to establish any malign intent. A United spokesman added: "Ander has seen the footage of the incident and is mortified at any suggestion that his actions were deliberate.